Cayman Enterprise City (CEC) delegation spends week in London reaching out to potential channel partners and clients in the United Kingdom. CEC, the Western Hemisphere’s only knowledge-based Special Economic Zone, is expanding its global push and actively targeting England as a key market. A high-level delegation from Cayman Enterprise City (CEC), the Western Hemisphere’s only knowledge-based Special Economic Zone, spent a week in London recently reaching out to potential channel partners and clients in the United Kingdom, including a prospective associate in the Commodities Exchange. CEC is expanding its global push and actively targeting England as a key market. Led by Chief Executive Officer Jason Blick, the delegation enjoyed successful meetings with leading financial, technology and professional services organizations that were supportive of the Special Economic Zone. The meetings created interest and the delegation is confident that several clients and channel partner relationships will be cemented following this trip. Meetings were set up in advance through CEC’s connections with Cayman law firms and CEC staff in Dubai, home to some of the world’s most successful SEZs. The Cayman Islands’ UK Office also supported CEC’s efforts through the use of its meeting rooms. CEC’s tax and regulatory benefits are designed to attract companies from five high-tech sectors covering biotechnology, Internet and media ventures, commodities and derivatives, and academics. Advantages include; a tax exemption for 50 years, a 10-day streamlined setup and no import duties. These initial meetings in England served as a good introduction to Cayman Enterprise City, and Jason Blick is looking forward to developing lasting business partnerships that will benefit CEC, the Cayman Islands and the UK. CEC staff joining the CEO on this trip included Chief Strategy Officer Charlie Kirkconnell; Legal Counsel Chris Narborough; and Chief Information Officer Tom Powell. 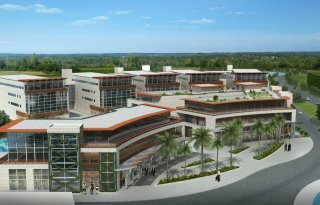 Cayman Enterprise City is a Special Economic Zone being developed in a state-of-the-art campus of innovative and sustainable architecture in Grand Cayman, designed to complement and respect the local environment. It will include: Cayman Internet & Technology Park, Cayman Biotech Park, Cayman Media Park, Cayman Biotech Park Cayman Global Commodities & Derivatives Park, Cayman Outsourcing Park and Cayman International Academic Park. There will be no manufacturing or industrial businesses within the zone. International businesses establishing within the zone will not be permitted to trade in Cayman outside of the zone so they cannot compete with local businesses. Cayman Enterprise City was officially launched in February this year and is open for business. To meet the demand of clients, CEC has taken interim office space in and around George Town and it has been designated at Zone Space while the main campus is being built. For more information call 345-945-3722, e-mail info(at)caymanenterprisecity(dot)com or visit http://www.caymanenterprisecity.com.